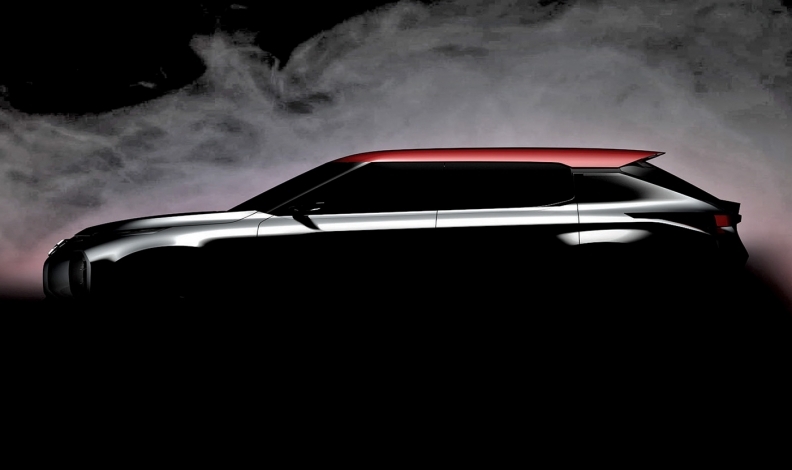 TOKYO -- Mitsubishi is dangling a new "high-end SUV coupe" concept to showcase a new direction in design and product. The Ground Tourer Concept will debut at this autumn's Paris auto show. A teaser photo of the coupe-styled utility vehicle shows a low-riding body with a narrow greenhouse, muscular fender molding and a steeply raked, sporty fastback rear end. Mitsubishi said the Ground Tourer Concept will be equipped with the company's plug-in hybrid electric drivetrain. The arrival of a top-end SUV could help freshen a U.S. lineup that has withered since Mitsubishi dropped the Galant sedan and Eclipse coupe.